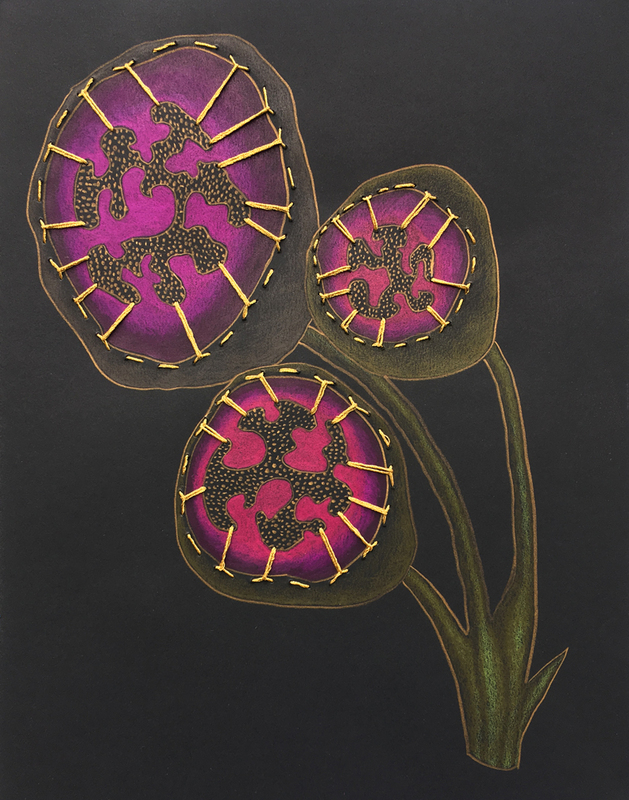 Utilizing a botanical reference to the family of plants, which for humans are both nourishing and deadly, I am exploring the intersection between drawing and embroidery, chaos and harmony, our interconnectedness and the various emotional meanings of light and dark. Relationships tie us together. They can feel supportive or constricting, mutually beneficial or destructive depending upon the circumstances. We are responsible to each other and belong to an immense network of life that is interconnected and interdependent. Through my work I am interested in celebrating that which makes us unique but more importantly ties us together in the web of humanity.